This week has been one that has seen me absolutely consumed with Destiny on the PlayStation 4, and as such I have simply not spent much time watching television. I have however watched quite an excessive amount of YouTube videos, namely as I try to find information about Destiny. There is this shift that is happening where certain games with certain audiences… simply do not have information blog posts about them. I’ve gotten spoiled in a world with Dulfy.net and WoWHead.com in that I expect pretty much every game I have to have this quality of resources. Instead for many games lately all I am ever able to find is YouTube videos on a given subject. I am sorry to all the YouTubers out there… but I am of a generation where I feel like a video is the least useful way to disseminate information. I will take a written explanation and some good screenshots any day over a lengthy video walk through. At some point in the near future I hope to take some of these things that I found frustrating and attempt to write some blog posts outlining how to do this thing or that thing in Destiny. Granted that is not to say there are not a lot of really good Destiny YouTube channels… but I would still rather have an informational post. The first time around when the AggroChat crew played Destiny… we joked that it was a game almost entirely devoid of story. That apparently is not the case… they just go to strange lengths to hide it from you. 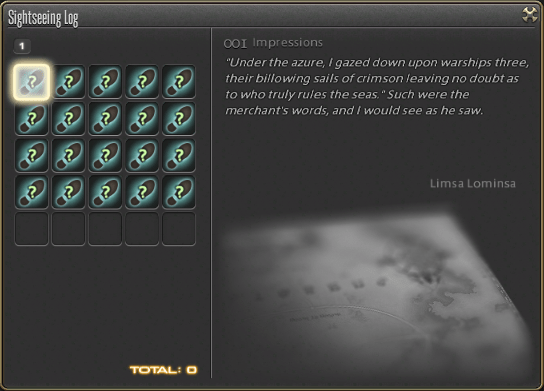 The story of the game is told through a series of grimoire cards, item descriptions, quest text, and hinted at in cinematic scenes. In fact there is actually apparently a TON of information about the characters in the game, their background, how they arrived at the tower… and all sorts of legends from the golden age, the city age, and the now tower age. In my search for information about Destiny I happened to stumble across a really awesome YouTube channel called Myelin Game… which is not to be confused with long time friend Mylin1. The channel is chock full of videos where Myelin digs into the lore of Destiny and connects the dots, weaving all of the known information… and speculated information into a narrative around a certain subject. I linked the Black Garden video since the game does a pretty poor job to explain what the hell it actually is… but I also highly suggest the trilogy of videos talking about thorn, last word, and first curse. I have always guessed there was this rich story somewhere behind Destiny… because the dots connected too neatly at times not to be well planned, but now that I am starting to learn some of the actual story I am loving it. I still feel it is a strange choice to make players dig for this knowledge, rather than letting you experience chunks of it through the story. The Fallen King expansion does a much better job of being more forthcoming with information… and it gives characters that previously did not have much of a personality… plenty of chance to show it off. I’ve spent a lot of time listening to these lore videos while doing other things and I highly recommend them. Another thing that I stumbled across this week is Star Wars Minute, which is a great YouTube channel that takes segments of the Star Wars universe and condenses them into roughly one minute long narrative explanations. Much like the Destiny Lore, this feels as much podcast as it does YouTube video because the narrative explanation is the important part… and the images going along with it are nice to have but not 100% necessary. I ended up finding this as I started doing some googling related to the Star Wars universe, namely for the upcoming pen and paper game that should have its first session tomorrow. The funny thing about this is how much of the universe I already had a full grasp on but have no clue why. I guess even though I have been a sleeper Star Wars fanboy since the prequels… I was still subconsciously hungry for knowledge about this favorite of universes. Star Wars Minute is great to play in the background as you do something else and they release three new episodes a week, so there is a silly amount of content available already. Be warned I am going to go into some serious spoilers here, so if you have not watched Arrow Season 3 or if you intend to at a later date… you might want to skip this section. Here is the point at which I get really frustrated with this show. Generally speaking I am all for a television show deviating from the source material to make the universe work better for the TV audience. For example most of the Batman movies have worked really well… and they are essentially a condensed soup version of the batman universe… gathering up all the good bits and trying to weave a story out of them. You have a very limited amount of time on television, and what might work fine to slowly build over the course of several years of a comic run… needs to happen in an under two hour long movie. Television shows have a bit more leverage when it comes to pacing something out, and this is also cool. The thing that apparently pisses me off though… is when you take actions attributed to one character and apply them to a completely different character. 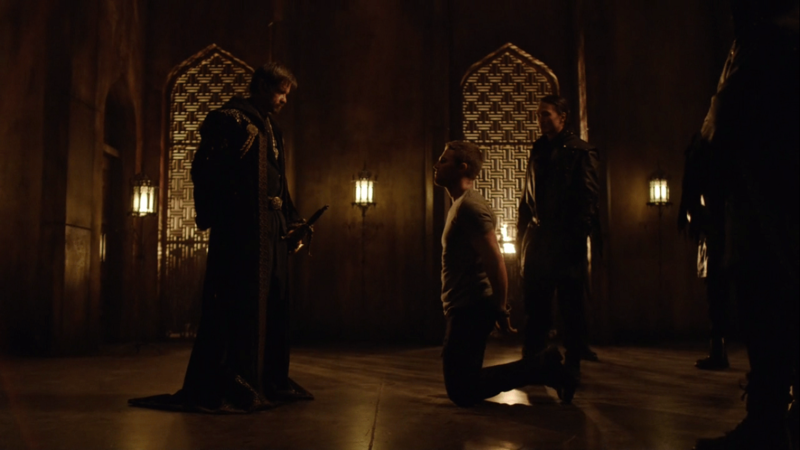 What I mean is that this story line that has played out throughout the season around R’as al Ghul didn’t happen to Green Arrow… ever. Essentially this is a Batman storyline, and all of the events that are playing out happened at one time or another to Batman. This caused me to think about Arrow the television show in a different light and realize that essentially… they have been turning Arrow into Batman this entire time. Maybe it is because Batman has been tagged as a “film” universe and is not available to be done in a Television version that they feel the need to create someone that is Batman-like. Green Arrow was admittedly a comic that I did not really follow. I mean I knew that him calling his sister Speedy when that was the character that would ultimately become Arsenal was wrong… and I knew a few other points seemed less than correct. However I lived in this world of relatively little knowledge about the show so I was able to pretty much ignore any differences… until they started stepping foot into the Batman universe. THAT is a universe I know considerably more about, and after a whole lot of research and the council of Thalen… I pretty much determined that nope… Green Arrow has never really interacted much with R’as al Ghul at all. So I am sitting here two episodes away from the end of the season… questioning if I care to finish watching it. Thank god Walking Dead is back. “Fear The” was such a pale imitation of Walking Dead, and I am exceptionally happy that they chose to back up the start of Season Six to the end of the first season of Fear. I do have to say though that it makes me extremely happy that Talking Dead has been pulled in officially for Fear as well, because for me at least that has become so much of that experience. This is one hell of a first episode, and I really liked the way they handled Flashbacks in this episode by making them Black and White. That is always the challenge with a show, how to visually tell the watcher that the events they are seeing are not happening in real time but instead an imagined replay. When you are dealing with older characters and younger characters, it works naturally… but when you are dealing with only a few hours or days passing… it becomes much more challenging. So the choice of black and white gave a nice clear demarcation point between the two time-frames. As to the rest of the episode… Rae sent me a text as the show as going on that simply said “Nosh Pit”. The premise of the show has to be one of the most Rube Goldberg style plot devices I have seen in awhile. To figure out a way to draw the walkers out of the pit and along a fixed path to get them away from Alexandria. The parallels to herding cattle… was extremely strong in this episode. They even managed to draw them down a chute just like you do cattle for a period of time… and then cleared out the farm supply store just to make sure nothing would spook them and draw their attention away… kinda like you do cattle. The slightest noise can distract cattle and get them to move in a different direction, and that apparently is the case with walkers. The thing is… going into this episode… you knew something was going to go wrong. 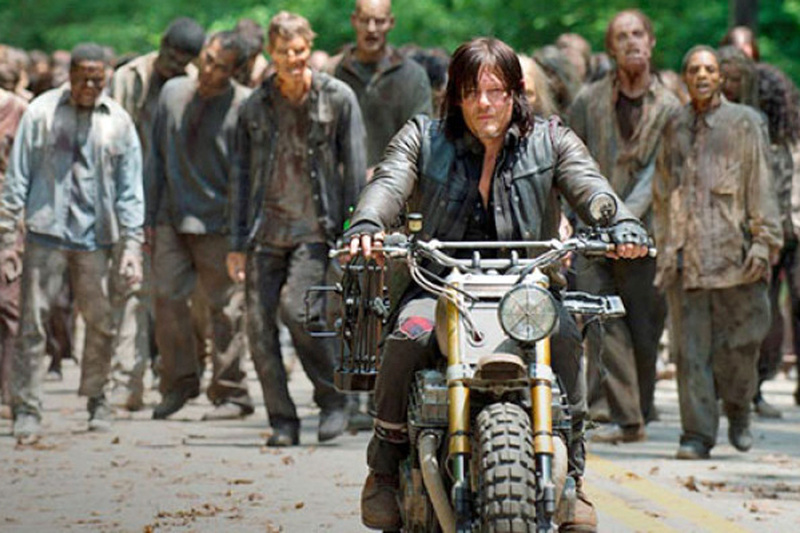 There were scenes in the Season 6 preview show of Walkers in Alexandria or at least the hint of that happening. 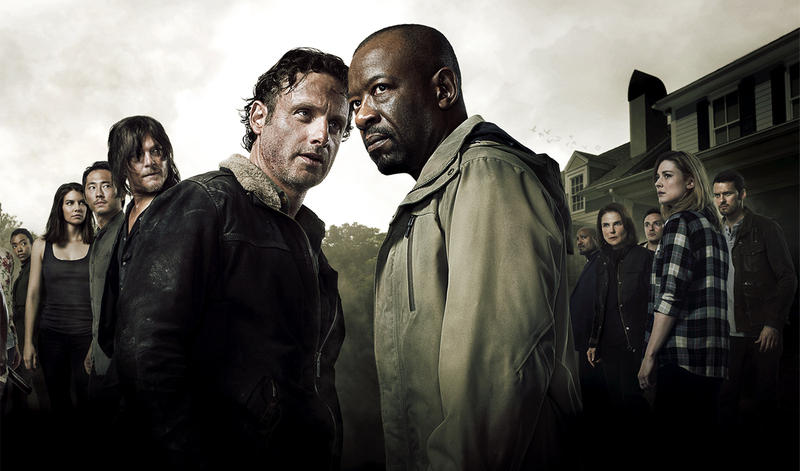 This show is really good about misleading us, for example the above poster would seem like we are heading towards some central conflict between Morgan and Rick… and in truth… it seems like Morgan instead manages to back Rick down from the ledge a bit. As far as the walkers… when they are nearing the clear zone… someone sets off a horn in Alexandria, causing the mega horde to turn that direction. So the question is… who did it. At work the popular theory for awhile has been that Enid is a spy from the Wolves, and that the scenes of her in the car with the walker outside… hint that she set off the horn. My personal theory is it is Father Gabriel once again trying to destroy everything around him. He wanted to go out on the mission to herd the walkers, but Rick shut him down immediately. My theory is he is vindictive, and after being shut down by Andrea as well… he is still on some mission to destroy this community and in the process allow himself to be kill in some sort of twisted act of contrition for letting his parishioners die. In truth it could be the wolves themselves, who have been watching everything happening and see this as their opportunity to let the zombies batter down the defense of Alexandria and allow them to come in after they are done… and loot the resources. If nothing else this episode explained why Alexandria had been left fairly unscathed… because the giant pit of zombies had been drawing in more zombies and keeping them away from the town. It is going to be interesting to see how the next few episodes play out, and who we lose in the process. With so many new people coming back to Final Fantasy XIV, some of which my doing… I thought it might be useful to start a new guide series to explain some of the concepts of the game that do not quite map up to the western MMO traditions. Simply put there are some ideas in this game that just are not obvious at first glance. My goal with this new series is to help a player “ease into” the game by presenting the concepts as simply as I can. Today I will be addressing the first real decision, which generally speaking is what class to play. If you are familiar with Final Fantasy 3, 5 or Tactics… you will have a basic understanding of the Class and Job system at its most rudimentary level. Today I will delve into some of the ideas and try to iron out the rough spots. 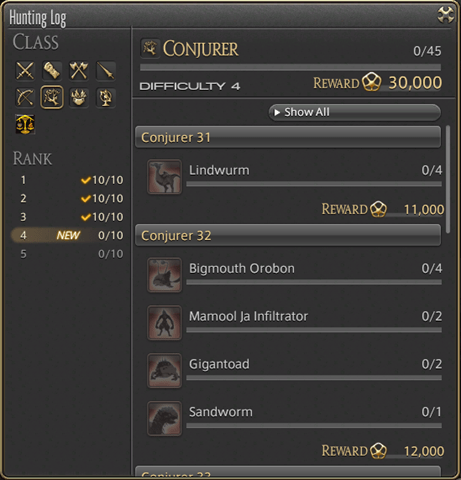 The class is the most basic unit of the Final Fantasy XIV job system. These are the things you start the game as and represent the building blocks for larger concepts. Each class and therefore job is represented by a single weapon type. When you equip that weapon you become that job, additionally the user interface provides a simple way to swap between weapon profiles and these can even be hot keyed. Every player can ultimate learn every class, but each time they start with a fresh class they go back to level one. This means you should probably hold onto your starter gear, as each time you reset back to level one you will need it to equip. The classes are loosely grouped into larger entities known as the Disciples of War and the Disciples of Magic. Similarly the crafting professions are grouped into Disciples of Hand and Disciples of Land… but I will get into crafting at a much later discussion. You will often see large blocks of these classes referred to in game by the abbreviations of DoW or DoM. When you see this, it means all classes within that larger family can use the item. One quick note is that the various Classes are scattered around in three different starter cities. At around level 15 in your main storyline quest you will unlock the ability to travel between the starter cities through Airship. Additionally if you are stubborn and determined enough they can be travelled between over land routes, however at very low levels this becomes a dangerous proposition. For sake of giving an idea of the layout of the classes here are the starting cities and which classes begin there. Jobs can be thought of as the evolved state of a class. At level 30 each of the classes evolves into a larger role, gaining new abilities every 5 levels. As you level your base class continues to level with you, but through the equipping of a Job Soul you also inherit new abilities. This is somewhat of a double edged sword as these new abilities give you much more power to fill a role your class was designed to accomplish, however at the same time it greatly limits the ability to use cross class abilities. Each Job is a made up of a recipe of two classes, for example Warrior is a combination of 30 Marauder and 15 Lancer. 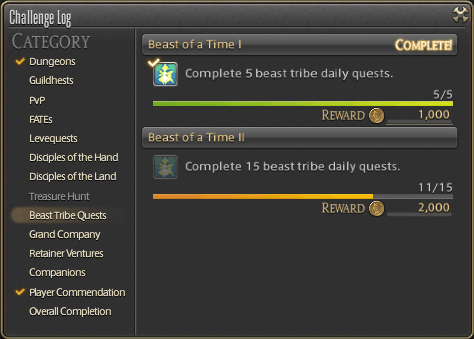 In order to quality for the quest to unlock warrior you need to have leveled both jobs to the required level before the new jobs master will speak with you. The Gladiator is your traditional sword and shield tank. They focus on mitigating large amounts of damage, but tend to have significantly lower hit points to compensate. They can be one of the more challenging classes to level in that they get most of their really class defining abilities significantly late in the game. While most classes have a complete combo chain by the time they begin dungeoning around level 16, the Gladiator does not complete theirs until 26. However for those who master it, it becomes an extremely formidable class. The Marauder is the two handed wielding tank. They focus on having a massive hitpoint pool coupled with some ability to regenerate that health to tank. They however have significantly fewer ways of stopping incoming damage to compensate. They are one of the easier classes to level due to the fact that at low levels they have both extremely solid damage dealing ability and high survival. Additionally when they evolve into a Warrior the get a threat generation and health increasing buff that as well as a rage generation mechanic allowing them access to special abilities at the cost of 5 rage. From 30 until the Paladin gets their tank buff at 40 they become the strongest tank, and then that evens out during the 40-50 level climb. The puglist is your traditional hand to hand combat fighter. While they technical use a weapon, these are an assortment of often wicked looking fist weapons. They are likely one of the more difficult classes to play in the game, in that they use a complex combo system that takes some ramp up time to reach its crescendo. Additionally several steps in the combo have a positional requirement of either being to the side of the encounter or behind it. As a result it takes serious dedication to be able to play the puglist and later the monk with proficiency. However to those devoted to the class they can do amazing things with it. The dragoon is relatively heavy armored spear wielding combatant, that has been represented in many Final Fantasy games through the Dragoon. They are known for intense single target burst and sustained damage through a combination of dots and combo attacks. Similar to the monk however they have a number of these attacks that require either a side or back facing component. However unlike the monk they are not as tied to this mechanic and can alter their rotation to fit moments when they simply cannot be behind or to the side of a target. The weakness of the class is they get relatively little AOE damage until very late in the game, and even then they come with some constraints. Most players take the Lancer class in order to evolve into the Dragoon, with their iconic jump attacks. The archer is your traditional bow wielding hunter or ranger type class. They have a series of dots and bow strikes that whittle down the target. The true strength of the class is they have the ability to move and cast at the same time. This means that even though a large number of the archer attacks have a cast time they can do so while moving, making them the ideal class for kiting or the ability to move while dpsing. The weakness however is that they are relatively light geared and the Achilles Heel of the class is that they lack a DPS limit break like the Puglist and Monk have. Once they become a Bard however they more than make up for this issue with the ability to play songs that regenerate Mana or TP depending on which your party make up needs worse. The Arcanist is an odd bag of tricks at the beginning of the game, and I easily consider it the most difficult of the classes I have personally tried to start. That said they become immensely powerful and have the benefit of being the only class with two natrual exit jobs currently in the game. The slow start comes from the fact that this is a pet class, and the pet that you receive early on is not your tank pet. This is a similar dilemma to starting a Warlock in World of Warcraft, and much the same you end up “tanking” for your pet early on. However once the Arcanist does get a tank pet they have the ability to fight multiple targets at the same time with ease. At its core this is primarily a damage over time class with a large bag of tricks that allow them to wear both the hats of a healer and a dps for a good amount of their playtime. It is personally not a class for me, but those who love it do so immensely. The Conjurer is your traditional full time healer class. At low levels it is the only class that can actually queue as a healer, and it offers the strongest brute force healing throughput of all of the classes. This comes at a few costs however. Firstly the class has very limited offensive capabilities until late in the game when they get one of the better AOE attacks in the form of Holy. Secondly they will suffer with issues regarding mana efficiency and while they can brute force heal through most anything, they can only keep it up for a short period of time. This means to heal as a Conjurer means you need to heal strategically without actually spamming needless heals. Being the “full time” healer class means they have a pretty broad palette of abilities to help them mitigate incoming damage. The Thaumaturge is your traditional MMO glass cannon. They have amazing damage throughput at the cost of having little to no defense. One of the issues with playing most offensive spellcasters is the problem with mana. This class gets around it with a unique fire/frost system allowing them to switch elements to frost to regenerate their mana quickly before going back to fire for quick damage output. They offer some of the best and most reliable AOE damage in the game, and early on they were the kings of FATE grinding with the early access to Blizzard II. If you like to live on the edge in a “burn the target before it hits you” style, then this is the class for you. Additionally they get a lot of nice abilities like Quick cast that let them turn a lengthy cast time into an instant. Hopefully this little guide will have helped you figure out which class you want to play. 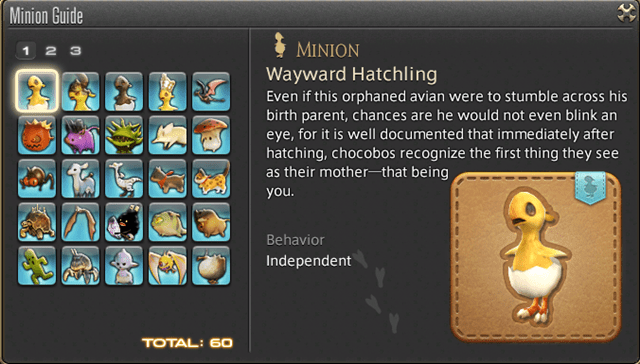 The important thing to remember is that in Final Fantasy XIV you are deeply benefitted by having lots of different classes. Personally I have a high level Warrior, Dragoon, Bard and am working on getting up a White Mage so that I can do pretty much every role that might be called upon me. This is one of the great freedoms of the game, the ability to switch things up and try out new things. Like I said once you get to the point at which you unlock airship travel, you can move around freely between the three capital cities and try all of them out. If you have any direct questions, let me know and I will try and cover the topics loosely in future guides. Additionally if you have always wanted to give Final Fantasy XIV a shot, there is a free 14 day trial that should allow you to test the waters. 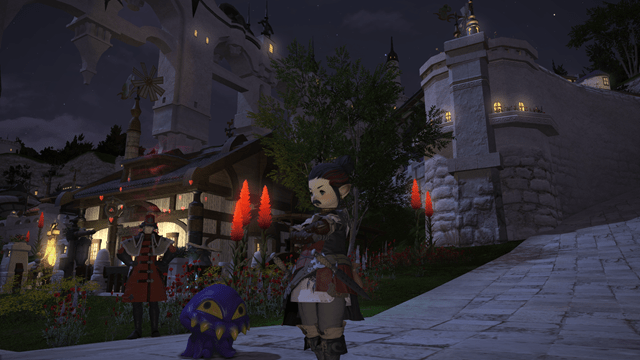 Of note my characters are in the Aether Data Center and on the Cactuar server. Feel free to drop Belghast Sternblade a line and say hello if you make it into game.